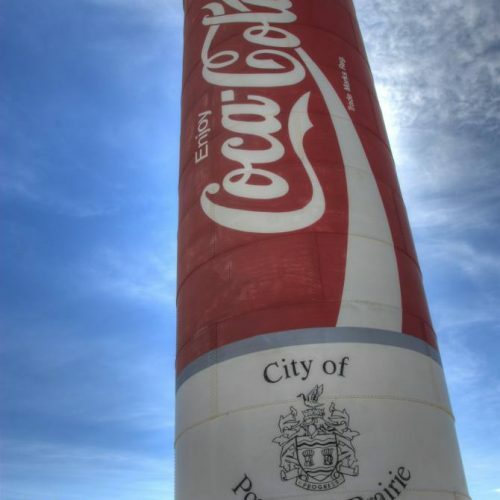 Among the unique structures that catch your eye as you visit Portage la Prairie is the towering presence of what has come to be identified as the World’s Largest Coca-Cola Can. Located on the southwest corner of the parking lot at CanadInns hotel, the 85-foot (26 metre) can was first constructed as a water tower by Manitoba Iron Works Limited in Winnipeg in 1905. The structure was relocated to the present site, where it was re-branded by the Coca Cola company and remains a popular curiosity for travelers annually. What began as a commissioned art piece to celebrate Manitoba’s official bird has become an iconic attraction in the Portage la Prairie region for close to 20 years. Canada’s Largest Great Grey Owl statue sits perched alertly at 27 Pine Crescent, a collaborative effort of Manitoba artist Jake Goertzen and local owl aficionado Bryan Mitchell. The piece stands thirteen feet high, weighs 2,140 pounds and is composed of an estimated 6,000 individual pieces of steel welded together. The Owl draws both nature and art lovers to see it in person. At the west end of Crescent Lake, the Long Plain First Nation’s Keeshkeemaquah urban reserve is home to the Rufus Prince Building, which formerly served as a residential school. A tribute to the survivors of the residential school system has been erected on the grounds of that site. Resting atop an 85-foot tree, a 12-foot Golden Eagle looks to the East to signify the beginning of a new day as the sun rises on today’s fresh start. Island Park is home to two roadside attractions that greet visitors to the southern shores of Crescent Lake. 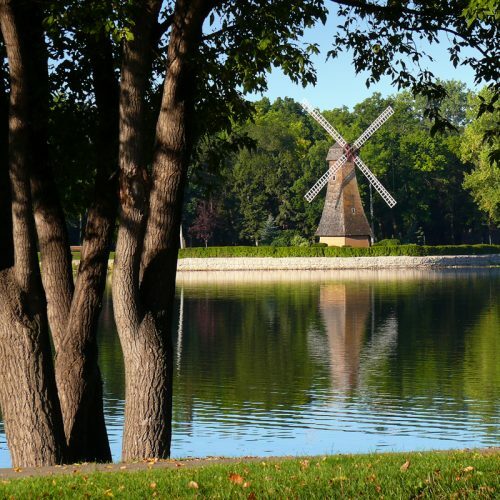 A Dutch-style windmill was first erected on site in the 1950’s, a project commissioned by the large Dutch population that immigrated here after the second world war to show their appreciation to Portage la Prairie as their new home. While originally functional, the wings were eventually immobilized due to structural concerns. Not far from the windmill, a genuine Royal Canadian Air Force CT-133 Silver Star stands in tribute to the community’s deep-rooted military ties with the former CFB Portage la Prairie established at Southport from 1942 to 1992. Just a short drive south of the City at Southport, visitors are welcomed by a Golden Centennaire as the newly added gate guard for the airport property. The Golden Centennaires flew out of Southport in previous years and the community felt that it was a fitting tribute to the past and present of their facilities to re-introduce the regal blue and gold jet. The fixture was installed in August 2017. You won’t have to look far to find evidence of the active arts community in Portage la Prairie with the variety of murals and public art that are featured throughout the community, adorning the exterior walls of several public and private buildings throughout the region. Take some time to explore and find the piece that speaks most to you.